Really fun Black light (UV) golf game, escape rooms and much more. Scout Friendly owners. 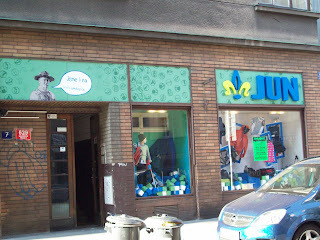 Czechs are geocaching fanatics and they are everywhere. Why not tour the capital city or some local countryside using geocaches. Are you strong in body and mind? The High Ropes activity in Prague will definitely test your balancing skills and concentration. The high ropes park is situated in Prague 9, around 30 minutes from the city centre. Using harness, helmet, cables, ropes and wooden beams strung 4 to 8 meters high among trees and poles, the teams and individuals explore risk-taking, trust and coaching. Fun and interesting, but pricey evening activity. This activity is Prague`s version of ‘The Cannon Ball Run’, enjoy the thrills of riding on the track reaching a speed of 62 km per hour, do not worry, there is a brake by which you can regulate the speed of the bobsleighs, the brake is designed to be on at all times, so to move you must push the brake forward. At the Prague boblseigh / bobsledding track there is also a very nice viewing restaurant, which looks over full course while you are not participating, this venue is located in the Prague 9 area of the city, so not too far from the centre. The track is 1 km long and has several specialties (eight curves and many bumps), after you finish there is a lift taking you automatically up straight to pizzeria where you can refresh yourself or just take a seat in the terrace and enjoy the panoramic view over Prague. Evening rides at the Prague bobsleigh are also possible thanks to special night lights, so this can be enjoyed almost all year round. There is also a high ropes course at the venue to provide a variety of activities. 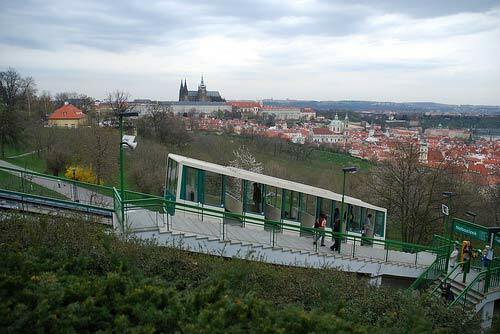 The funicular railway in Prague runs from the Lesser Town up to the top of Petrin Hill. Cost of Living for budgeting.